Process Combustion Corporation (PCC) is growing. Fast. So are the opportunities in our fast-track project, combustion equipment company. PCC’s success is directly related to our team-oriented approach, and commitment to hire and recognize quality individuals. We take pride in our most important asset: Our employees. PCC is looking for highly motivated, talented and dependable individuals to lead the way in the combustion and thermal oxidation field. Current open positions are listed below. Field service/start-up, consisting of electrical/mechanical setup, checkout, commissioning, troubleshooting, equipment placement and repair, training, etc. During the next 18 months, 2-3 trips to China should be anticipated over a very high Operations Temp period. Develop new 3D Models and Drawings for projects as required by Sales and Project Engineer. This will include the layout, design, and detail of projects per verbal and written instructions. Assisting in the maintenance of product standards and master drawings as well as files on assigned projects. Check own and other Drafter/Designer's drawings for accuracy. Associate's Degree in Drafting or equivalent combination of experience. Strong communication skills and ability to take direction and provide feedback. Critical thinker who can make strong recommendations and apply sound judgement. PCC offers an attractive compensation and benefits package, including health and life insurance, dental and vision insurance, and 401(k). PCC is an Equal Opportunity Employer (EEO). Process Combustion Corporation provides equal employment opportunities (EEO) to all employees and applicants for employment, without regard to race, color, religion, gender, sexual orientation, national origin, age, disability, marital status, amnesty, or status as a covered veteran in accordance with applicable federal, state and local laws. PCC complies with applicable state and local laws governing non-discrimination in employment in every location in which the company has facilities. This policy applies to all terms and conditions of employment, including, but not limited to, hiring, placement, promotion, termination, layoff, recall, transfer, leaves of absence, compensation, and training. PCC expressly prohibits any form of unlawful employee harassment based on race, color, religion, gender, sexual orientation, national origin, age, disability, or veteran status. Improper interference with the ability of PCC’ employees to perform their expected job duties is absolutely not tolerated. 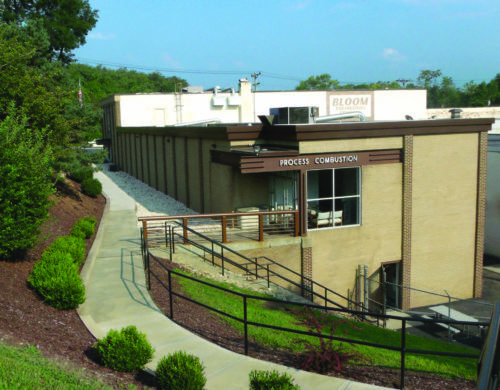 Since its founding in 1969, PCC has been providing its global customers with combustion heat transfer and pollution control system expertise from its headquarters in Pittsburgh, Pennsylvania (USA). PCC designs, engineers, and supplies thermal oxidizers, afterburners, incineration systems, specialty combustion systems and bio-oxidation technologies that provide environmental treatment of gaseous and liquid waste streams generated from a wide range of industrial and municipal processes. PCC’s engineers are experienced in process design, process engineering, material selection, refractory design, instrumentation and controls, commissioning and start-up service, and project management. PCC has custom designed systems ranging from $5,000 to over $15 million. There’s no combustion application PCC cannot handle. PCC excels in providing fully integrated solutions to meet our customers’ toughest air pollution control challenges. Our expertise and experience in gaseous & liquid waste incineration, VOC destruction, and acid gas systems is complemented by knowledge, understanding and practical know-how of heat recovery boilers, heat exchangers, wet scrubbers, baghouses, and electrostatic precipitators. We serve industries including Chemical, Petrochemical, Refining, Automobile, Pharmaceutical, Manufacturing, Textile, Rubber, Metals, Wood Products, Sulfur, Carbon, and the Pulp and Paper industries.